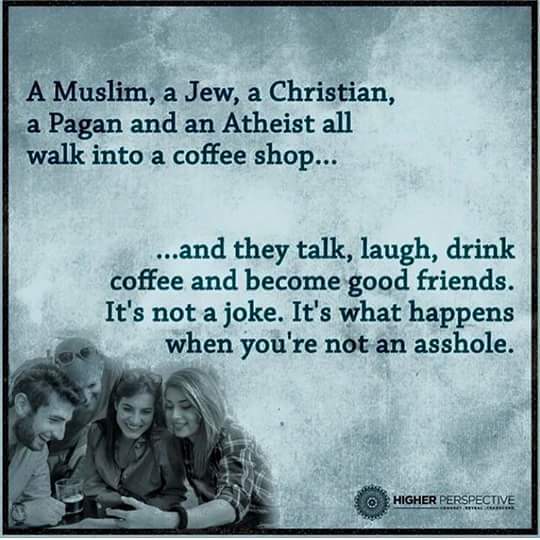 Image | This entry was posted in poster, religion and tagged atheist, Christian, Jew, Muslim, Pagan. Bookmark the permalink. 1 Response to What a Concept!